Man Cup today announced that Hawaya Racing has returned for the 2019 season and beyond as the class sponsor for Pro Fuel. Hawaya Racing has a long history with Man Cup and returns after a brief one-year absence. In doing so, Hawaya Racing has provided greatly enhanced purse funding for the Pro Fuel class heading into the 2019 season and beyond. “Johnny Vickers and his company Hawaya Racing have made a giant commitment to all Pro Fuel racers and I certainly hope they are as excited about it as I am!” stated Man Cup Principal Jay Regan. “Hawaya Racing has truly put up the big bucks in Pro Fuel so there will be zero chance of hearing any Hawaya Racing Pro Fuel rider to say otherwise. Johnny was very adamant about it, he felt bigger, deeper paying purses are the way to more participation and the funding injected by him has provided us the ability to do just that”. concluded Regan”. “We have been with the Man Cup pretty much since they started back in 2010. We took last year off from sponsorship to regroup and be able to come back this year with even more. I did not want anyone to have reservations about purses for the 2019 season, so we have taken care of that. 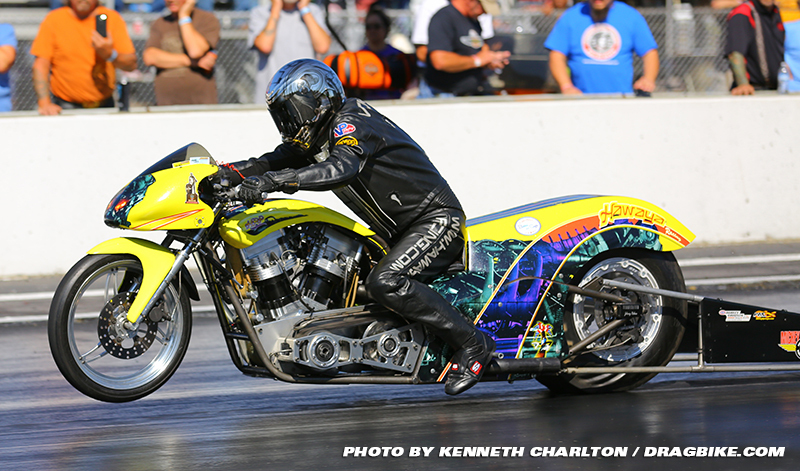 Riders participation in Hawaya Racing Pro Fuel at the Man Cup will enjoy larger, deeper payouts than anywhere else they can race, stated Vickers. “I have been in this business a very long time so I realize that all parties involved, myself as a sponsor, the facility, the organization and the racers absolutely need each other to succeed. At Hawaya Racing, I know with our sponsorship package, we are certainly attempting to over achieve from our end of it. In addition to the fortified purses, Hawaya Racing will also be providing a cash bonus to the number one qualifier at all five events. On top of that, the class champion will also receive a truly memorable specially designed Championship jacket from Hawaya Racing for winning the season championship. In addition to this, some contingency sponsors are stepping up as well. Last year’s class sponsor, Armon Furr of OCR, has thrown in a new engine restraint strap for the 2019 Pro Fuel Harley Champion We want to let all Pro Fuel riders know that competing in Hawaya Racing Pro Fuel at the Man Cup will be the place to be in 2019″ Vickers concluded. The season-opening April 5-6-7 running of the 38th annual Exoticycle Spring Cup presented by Roaring Toys at South Georgia Motorsports Park will see these exciting changes to Hawaya Racing Pro Fuel implemented and put into action for the first time. In addition, look for Hawaya Racing on the ManCup vendor midway as Johnny returns to tune for hard running #2 plate holder Sam White in the Pro Fuel class. All racers are encouraged to visit the official Man Cup website at ManCup.info and click on the payouts tab to view the guaranteed payouts and entry fees for Hawaya Racing Pro Fuel, and all other classes as well.